This is the adjustment of either a fixed (i.e. brackets and wires, or cemented on bands with wires) or removable appliances. 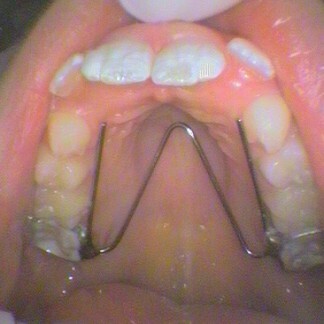 This is part of ongoing treatment after the insertion of the appliance. As the teeth move the forces change and timely adjustments are often done to either re-engage the forces or redirect them. Constant monitoring is very important to ensure an efficient and desired result. It’s not a set it and forget! Repair of the acrylic resin body of the appliance. 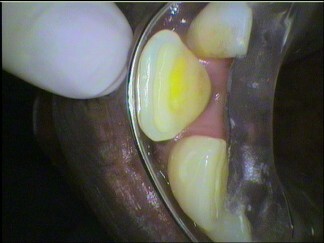 This can be as a result of it being cracked or chipped or broken. If impressions are needed to get a model then item no. 776 is used. The repair or replacement of a lost or broken clasp, spring or tooth on an appliance. Use item 776 for impressions. As for 876 but adding another clasp spring or tooth. Add item 776 if needed. 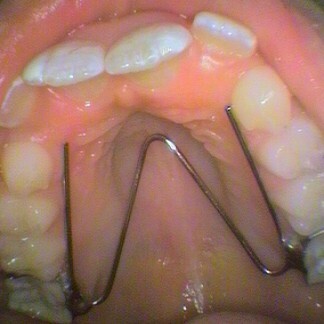 Replacement of the surface of the appliance that sits on the gums and jaws, i.e. the tissue fitting surface. A special impression is added under the appliance in the mouth to record the new shape of the tissues. The appliance and the special impression material are sent to the lab to replace the impression material with new resin. This improves the appliance’s accuracy of fit, comfort, and treatment efficiency. Who wants a sore mouth!